They made corporate dining cool at Bentley; changed the face of vegetarian restaurants forever at Yellow; and flipped bar food into high-end cooking at Monopole. So what's left for the restaurant dream team of chef Brent Savage, wine guy Nick Hildebrandt, and designer Pascale Gomes-McNabb? What we keep asking for, of course: a great Sydney seafood restaurant on the water. What was the site of the memorable Noma pop-up in Barangaroo now aims to put the fin into fine dining. While construction work continues around it, Cirrus is moored serenely in the curvaceous, cloud-shaped Anadara building, its nautical intent underscored by sweeping harbour views and a 1950s Gladesville-built speedboat suspended above the heads of the diners. There is more whimsy in the (not fishing) rods hanging from the ceiling, and round tables in a lottery of wood, marble, brass or concrete. But what will set Cirrus apart is Brent Savage. By applying the same mindset to fish and seafood as meat or vegetables, he comes up with food you've never had before that nevertheless feels familiar. Like the thoroughly elegant smoked ocean trout parfait ($24), served as a wedge of creamy mousse topped with a layer of clear, glistening salmon bone jelly and strewn with dill, ocean trout roe and slivers of house-pickled onions, ready to be slathered onto buttered rounds of grilled baguette. It's chicken liver parfait's rival from the deep. 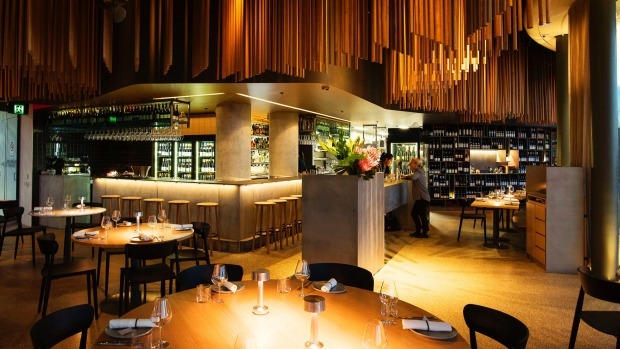 Savage's menu is genuinely interesting, with its highly composed share plates; big-ticket caviar (from $210); lobster and mud crab (market prices); and – yippee! – a contemporary Australian seafood platter that involves oysters, tiger prawns, cobia, honey bugs and clams, at $120 to share. A modestly small mix of juicy little strawberry clams and baby pippies interleaved with cucumber, wood sorrel and winter purslane ($24) is given the citrus/chilli tang of yuzukosho, tempered with buttery buttermilk. The kitchen loves its new charcoal grill, with good reason. 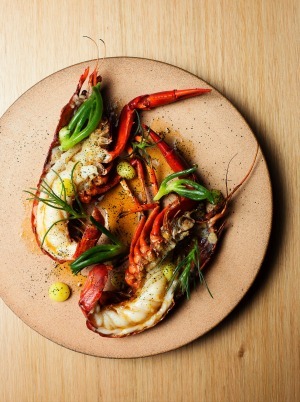 Australia's mighty freshwater marron ($42) is simply split, grilled over coal and sent out with sweet, citrusy droplets of lemonade fruit and fleshy sprigs of sea banana. Just don't expect fill-'er-up main courses – this is premium fish and seafood, which is always going to be a pricey privilege. 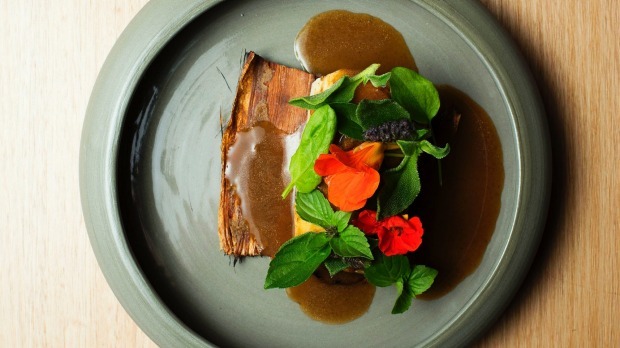 Coal-roasted Murray cod ($50) is presented on the paperbark in which it was just-cooked, coated with an "Australian curry" sauce of native ginger, bush tomato, pepper berry, lemon myrtle, fennel pollen and chilli, and scattered with peppery nasturtium leaves and flowers. There is some token meat, and no real salad as such – something that should be remedied – but a sea-going caesar ($20) sees cos leaves dressed with whipped, cured mullet roe, threads of salted anchovy and a shower of cured egg yolk. Hildebrandt's cracking list displays his usual leaning towards natural wines and obscure French start-ups, and a bright, crisp, finely balanced Punch Lance's Vineyard chardonnay from the Yarra Valley ($20 glass, $58 carafe, $92 bottle) is pitch perfect. Dessert, a long slender tablet ($18) layered with chocolate black rice crackle, ganache, orange cream, orange jelly, chocolate glaze and toasty macadamias, is surprisingly – and beautifully – structured. 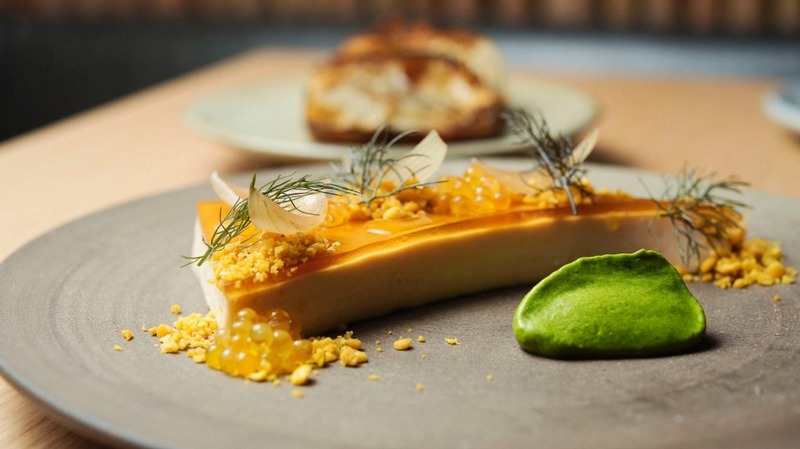 Cirrus is a restaurant that celebrates Sydney and seafood in equal measures. We asked, we got.